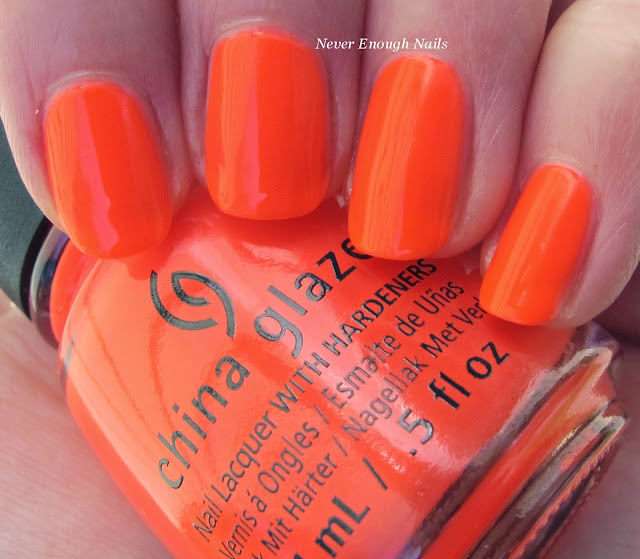 Never Enough Nails: China Glaze Electric Nights Summer 2015 Swatches, Part 2! 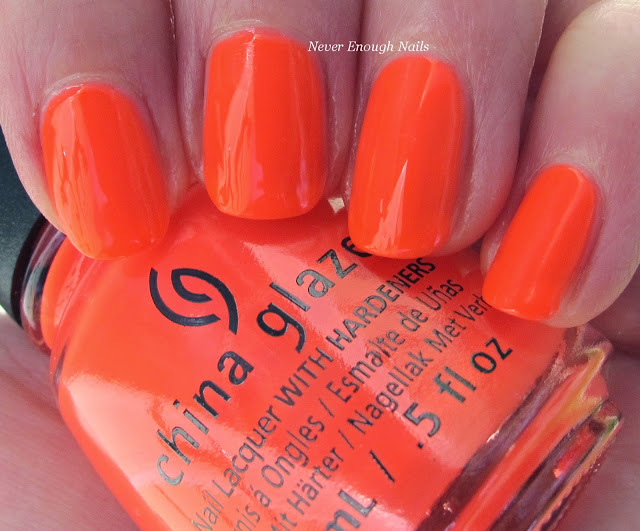 China Glaze Electric Nights Summer 2015 Swatches, Part 2! 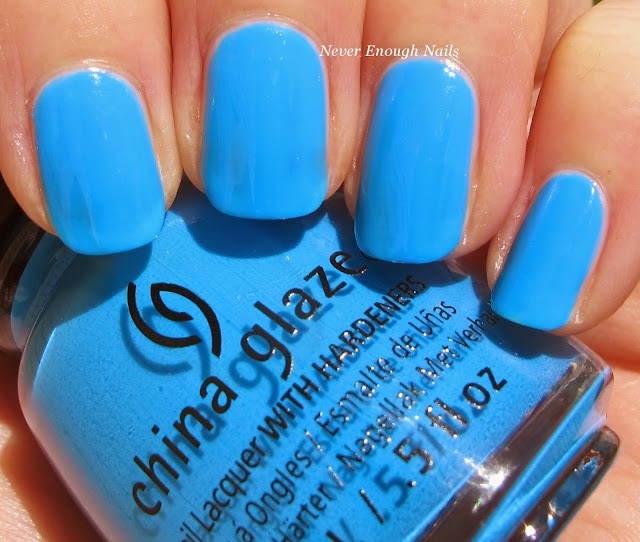 Continuing on with my China Glaze Electric Nights swatches, today we have the neon pool blue China Glaze DJ Blue My Mind. 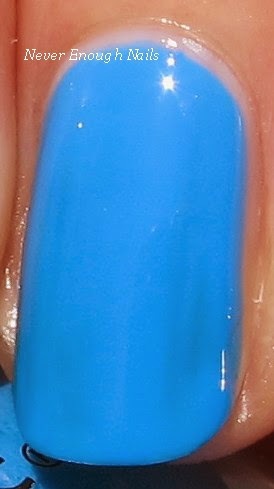 This is a super bright happy blue creme. It's not as neon as some of the others in this collection, it's not what I would call "eye-searing". But it's definitely a nice bright for summer and one I will wear a lot! This is three coats of DJ Blue My Mind. The formula was good, I probably could have done two thicker coats. It wasn't streaky, so that's a definite plus. As with all true neons, these dry semi-matte, so I did use a shiny top coat to finish it off. OK I am sorry about the strange color of my skin in these photos. 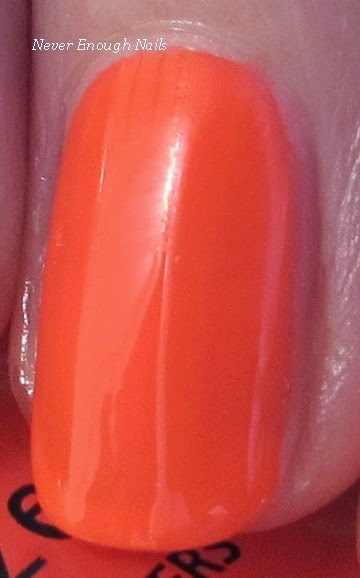 China Glaze Red-y to Rave was very difficult to photograph. The color of the polish was way off in photos in normal lighting, so I had to do these in very shady areas and it makes my skin color look strange. The polish color though is fairly accurate in the pictures. Red-y to Rave is an amazing neon red-orange-pink mashup. It definitely has a good amount of red in it and that's pretty cool, because neon reds are few and fair between. But you can also see some hits of pinkyness and maybe some orange too. This is three coats of Red-y to Rave and I was happy with the coverage and the streak-free finish. Two coats left it looking a little streaky and there was still some VNL. I LOVE how bright this is!! So bright it made my camera flip out, haha! Both of these neons are going to become fast summer favorites for me, especially Red-y to Rave. That will be on my toes non-stop! 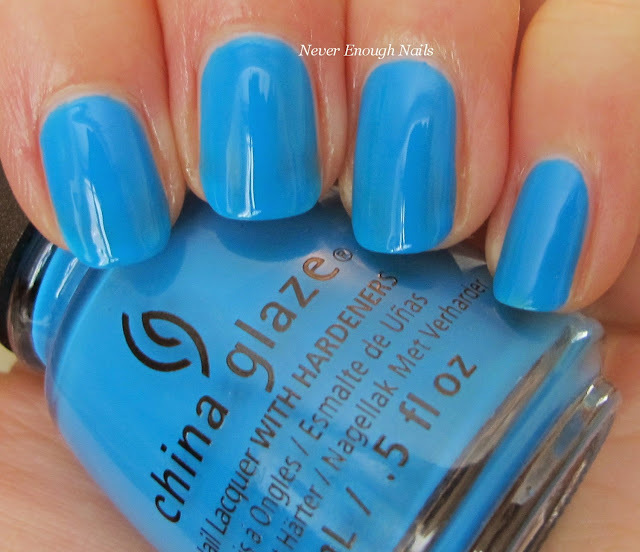 The China Glaze Electric Nights collection is available now at Sally Beauty, Ulta and online at e-tailers such as nailsupplies.us.